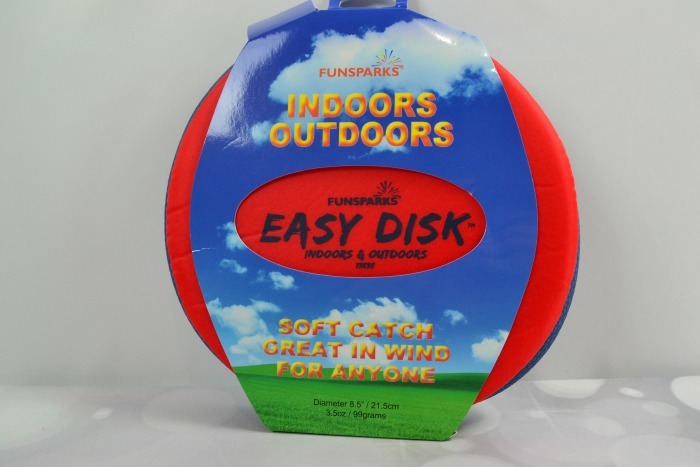 For a fun toy that you can play with in a gym or outside, Funsparks’ Easy Disk Frisbee is a great choice! This fun frisbee is 8.5 inches in diameter and is lighweight, which makes it perfect for ages 6 years old and up. The Easy Disk frisbee is made out of durable material and can withstand intense play, so you know that it will last a long time. The material may be durable, but it is soft and painless to catch. I love that the Easy Disk Frisbee is soft because it makes it perfect for playing with young children. I know Riley always wants to play frisbee, but I am always worried she’s going to get hit in the face with the hard plastic ones we usually have. Now I do not have to worry about that thanks to this nice frisbee. The Easy Disk Frisbee is a great toy from Funsparks that I am sure will bring fun for years to come.